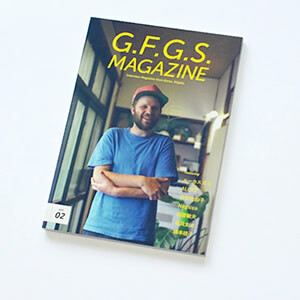 Collaboration line of G.F.G.S. Multifaceted activities of G.F.G.S. クレジット： ライナーノーツ: 三輪眞弘（作曲家）、デザイン: 小泉均 + Scriptographer univers、マスタリング:　鈴木悦久 (Mimiz)、協力:　飛谷謙介 (Mimiz)、愛美、レーベル: G.F.G.S. 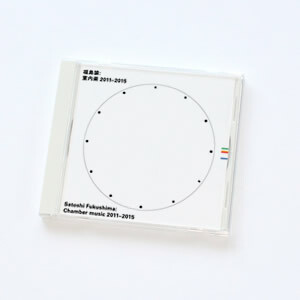 This CD is a collection of composer Satoshi Fukushima's works between 2011 and 2015. Fukushima has mainly presented music using real-time sound processing by computer, but his music style is diverse. This CD especially gathers the style of works combining live instrumental music and real-time acoustic treatment. Although the melody is specified by the musical score, the music changes its modality slightly (sometimes dramatically) from moment to moment because a computer records, processes and reproduces the melody on the spot. This is also a challenge to release music in a livelier state by using computer processing. Patrinia Yellow, an excellence award at the Art Section of the 18th Japan Media Arts Festival, is included. “go looking for” of YOUTUBE MV is not included. I came to love Lucas B.B., not George Lucas!